Ideas: You can draw your dress to match your favorite accessory - bag, scarf, shoes. You can draw a landscape or another painting - everything that you want to wear, but you don't find in the shops. 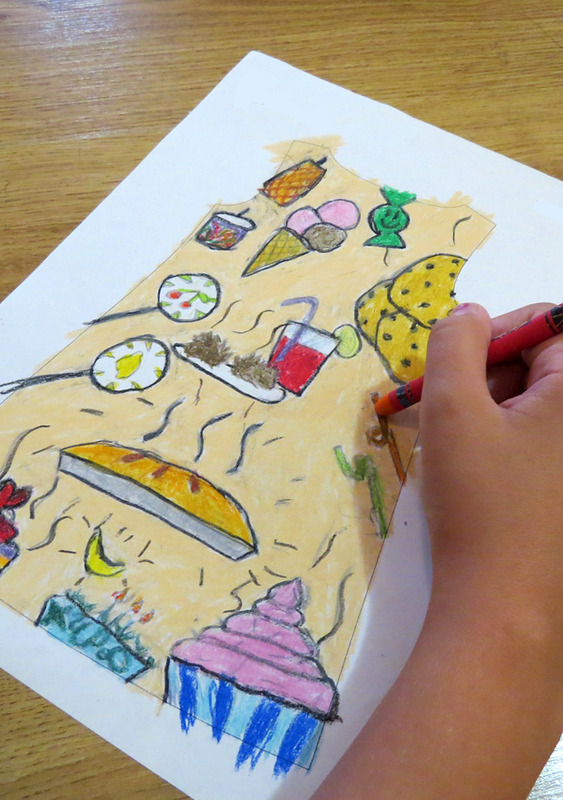 You can use pastels, pencils, water colors and you can even make a collage. Be careful - everything will be printed the way you have drawn it, so try to make everything within the lines of the template the way you wish it to appear on the dress! It is not a problem if you draw outside the contour. Step 4 Take a photo of the drawing with a phone/camera with the best possible resolution (more than 5 MP optical zoom) and attach it in the order. - Take a photo of the drawing on a well lighted place and you should not cast a shadow on it. - Keep your phove/camera perpendicular to the drawing as close as possible to it to capture all the details. - Keep the phone/camera steady so that the picture does not blur. It should be in focus and with good contrast.